Writing to compare and contrast is an important skill. If you can compare and contrast two topics, you can demonstrate your understanding of them. Here is a template for brainstorming ideas in a compare and contrast essay. I. Introduction: Introduce your topic. II. Similarities: Three or so similarities. III. Differences: Three or so differences. IV. Conclusion: Summarize your main points. Directions: Write a compare and contrast essay of your own. 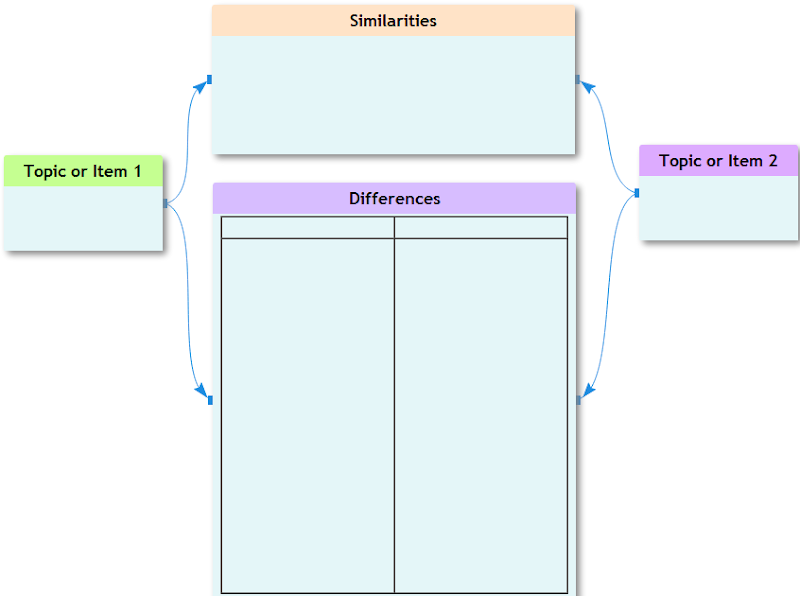 As homework, select another topic for compare and contrast, use MyndBook (MyndBook.com/go.php?to=306_1396) to create a note map of your ideas including similarities and differences between the two ideas; and then write your essay.